More than thirty years ago, Finn Murphy dropped out of college to become a long-haul trucker. Since then he's covered more than a million miles packing, loading, and hauling people's belongings all over America. Known by his trucker handle as U-Turn, he spends his days (and many of his nights) in a 53-foot eighteen-wheeler he calls Cassidy. In The Long Haul, Murphy offers a trucker's-eye view of America on the move. Going far beyond the myth of the American road trip, he whisks readers down the I-95 Powerlane, across the Florida Everglades, in and out of the truck stops of the Midwest, and through the steep grades of the Rocky Mountains. As he crisscrosses the country, Murphy recounts with wit, candor, and charm the America he has seen change over the decades, from the hollowing-out of small towns to changing tastes in culture and home furnishings. Through it all, Murphy tells poignant, funny, and often haunting stories of the people he encounters on the job: a feisty hoarder in New Hampshire; a Virginia homeowner raging when Murphy's truck accidentally runs down a stand of trees; an ex-banker in Colorado who treats Finn and his crew with undisguised contempt; a widow who needs Murphy to bring her archeologist husband's remains and relics to a Navajo burial ceremony in New Mexico. These experiences inspire Finn's memorable reflections on work, class, and the bonds we form with the things we own and the places we live. 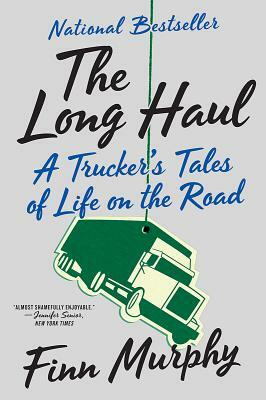 Brimming with personality and filled with great characters, The Long Haul is a resonant portrait of the enduring appeal of manual labor in the dark underbelly of the American Dream.